St. Croix is the largest of the U.S. Virgin Islands and is known for its scuba diving, rum making, marine sanctuary and 18th-century forts. 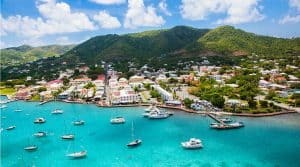 St. Croix is part of the U.S. Virgin Islands and is an island paradise complete with lush tropical hills, warm and brilliantly turquoise water, a rich history and a wonderfully tropical climate. It is the hidden gem of the Caribbean! 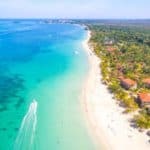 You will find beautiful white sand beaches, tropical weather, great dining and restaurants, lots of duty free shopping, incredible SCUBA diving, three golf courses and two historic and charming towns, all wrapped up in a friendly and laid back island atmosphere. You won’t find the crowds that many other Caribbean destinations can have, and it’s easy to travel to St. Croix from the mainland. U.S. citizens don’t need a passport. St. Croix is only a 30 minute flight from the international airport in San Juan, Puerto Rico, and direct flights from the states on American Airlines (via Miami), Delta (via Atlanta) and JetBlue (via San Juan). St. Croix is part of the Leeward Islands in the Lesser Antilles. To learn more about all the beautiful beaches on St. Croix, visit here. Now view our St. Croix travel guide to help plan your next St. Croix vacation! St. Croix has some of the finest weather in the world. The temperature averages 82 degrees year round and it only varies about 7- 8 degrees between the summer and winter months. Easterly trade winds, the same ones that early Europeans used to get to the Caribbean from the coast of Africa, generally keep it comfortable and keep the humidity down. Of course, it is the tropics, and with that comes some rain. Don’t worry though, because most of their rain comes in brief showers and many of them happen at night so they won’t interfere with your fun in the St. Croix sun. 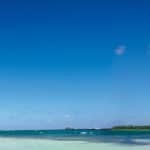 Hurricane season runs from July to November and most tourists plan their getaways accordingly since temperatures do not really fluctuate throughout the year. Many people like to come to St. Croix for the fabulous Christmas festival, the Crucian Christmas Festival which is full of costumes, music, parades, and celebration. This is the time that the people of St. Croix celebrate Carnival and it is their largest celebration of the year. New Year’s Eve brings more reason to party as does “Caribbean Night” the following day. The early part of the month of January is full of events as a part of Carnival, making it a great time to come to St. Croix and thus avoid winter. When traveling to the U.S. Virgin Islands, U.S. citizens enjoy all the conveniences of domestic travel – including on-line check-in – making travel to the U.S. Virgin Islands easier than ever. As a United States Territory, travel to the U.S. Virgin Islands does not require a passport for U.S. citizens arriving from Puerto Rico or the U.S. mainland. Entry requirements for non-U.S. citizens are the same as for entering the United States from any foreign destination. Upon departure, a passport is required for all but U.S. citizens. The U.S. Virgin Islands has daily, nonstop flights from New York, Newark, Baltimore, Atlanta, Miami, Philadelphia, Boston, Charlotte, Detroit, Chicago and Fort Lauderdale. Connecting flights are available to and from Los Angeles, Dallas, New York, Miami and Atlanta via the San Juan hub. In addition, there’s connecting service from Canada, Europe, South America and the Far East. Commuter service between San Juan and St. Croix and St. Thomas is also available. 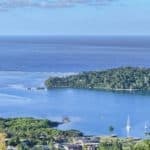 There are so many ways to take a mini-vacation or day trip while on St. Croix by island hopping. 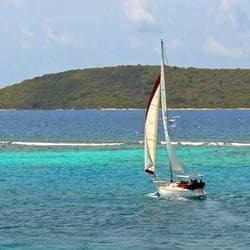 Island hopping from St Croix, for those that want to explore nearby island destinations, is fast, convenient and affordable. St. Croix offers just about everything you want in an island vacation. However, there are many wonderful experiences available on other nearby islands, most of which can be reached quickly by plane and the high speed Ferry. Touring St Croix by car is easy and affordable. St Croix rental companies offer a wide range of vehicles including cars, jeeps, SUV’s, and vans. Rental rates are generally less expensive than other islands and there is no sales tax. Gas is also less expensive than other islands and the US mainland. Why? A major oil & gasoline storage facility is located right on St Croix plus there are no expensive gasoline taxes. Remember to drive on the left. In most rural areas, the speed limit is 35 mph; certain parts of the major artery, Route 66, are 55 mph. In towns and urban areas, the speed limit is 20 mph. Keep in mind that if you’re going into the “bush country,” you’ll find the roads very difficult. Sometimes the government will smooth the roads out before the rainy season begins (often in Oct or Nov), but they rapidly deteriorate. Getting around St. Croix by taxi is not only economical, it can be very educational as well. With English, Spanish & French speaking drivers, you will get courteous, dependable service and an interesting perspective on St. Croix while you ride around the island. Vehicles range from 15-seater vans, station wagons, 25-seater safari vehicles, or sedans. All are fully insured, and most have A/C. You will find taxi stands located throughout Christiansted, Frederiksted, and mid-island points. For more information on Taxi rates and pre-arranging a Taxi, visit St. Croix Taxi. The Vitran Public Bus System services various areas of the island. Air-conditioned buses run between Christiansted and Frederiksted about every 2 hours daily from 5:30 am and 9pm. No service on Sundays. They start at Tide Village, to Christiansted and travel along Route 75 to Golden Rock shopping center. 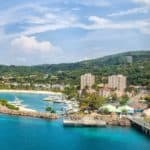 They then make their way to Route 70 with stops at Sunny Isle Shopping Center, La Reine Shopping Center, St. George’s Botanical Gardens and Whim Plantation before getting to Frederiksted. Bus service is also available at the airport to Christiansted and Frederiksted. The fare is $1 a person. Senior Citizens receive a discounted fare of $.55. The Bus System is not very reliable, if you are limited in time it is not recommendable. Christiansted is a historic Danish-style town that always served as St. Croix’s commercial center. Your best bet is to see the historic sights in the morning, when it’s still cool. Break for lunch at an open-air restaurant before spending as much time as you like shopping. 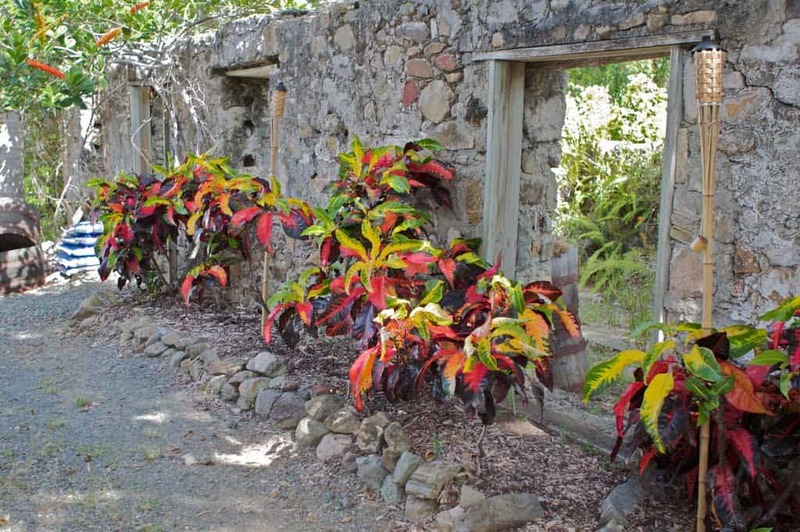 In the 1700s and 1800s Christiansted was a trading center for sugar, rum, and molasses. Today there are law offices, tourist shops, and restaurants, but many of the buildings, which start at the harbor and go up the gently sloped hillsides, still date from the 18th century. You can’t get lost. All streets lead back downhill to the water. 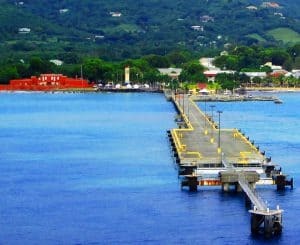 The Frederiksted Pier is one of St. Croix’s most iconic sites and an attraction that everyone visiting St. Croix should see. The Pier is located in the heart of Frederiksted town on the West End. Grab the hands of your loved ones and take a nice long stroll down the Frederiksted Pier. It’s scenic and fun any time of day. The snorkeling around the rocky foot of the pier is really very good, teeming with blue tang and other tropical reef fish and juveniles. It’s biggest claim to fame is that it is considered one of the best micro-dive locations in the world. Simply put, the diving is incredible, day or night. You’ll see a lot of colorful fish, octopus, seahorses, squid, pufferfish, and other amazing creatures as you slowly drift between the pilings. Lying 1.5 miles off the northeast coast of St. Croix, this 880-acre national monument includes 176 acres of land surrounded by 704 acres of water and coral reef system; it is a paradise for snorkelers, and the deep grottos and labyrinths are perfect for experienced scuba divers to explore. You can stroll amid the ruins of this 17-acre estate, a former 19th-century sugarcane plantation village, which contains varied ecosystems from semi-arid cactus to lush green rain forest. Sail on our 42′ Catamaran Renegade for a relaxing all-inclusive trip to Buck Island. They provide snorkel gear to each guest and snorkel lessons on the beach if needed. After the beach they take everyone to the lagoon in small groups through the underwater trail. After you’ve seen the snorkeling, Renegade will sail to Big Beard’s private beach for a barbeque lunch — all you can eat (burgers, dogs, fresh fish and assorted chips) and drink (rum punch and fruit punch). 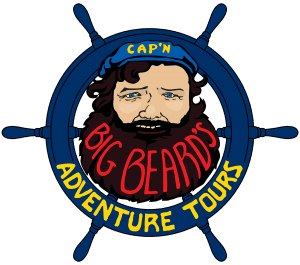 For more information call 1-866-773-4482, or visit them on the web at Big Beard’s Adventure Tours. Private Sailing Adventures for up to six passengers! Prepare yourself for an exhilarating day on the Caribbean Sea in the East End Marine Park Sanctuary. Sail as much or as little as you like, and even take the helm yourself or just relax and unwind. Swim with sting rays and snorkel the barrier reef where they’ll guide you to the very best coral reef habitats. This sailing excursion is perfect for couples, families, a group of friends, or small company outings. For more information call 340-514-2270, or visit them on the web at Blind Charters. Virgin Kayak Tours offers unique and custom kayak tours of: Salt River Bay National Park; The Bioluminescent Bay; The East End Marine Park; Altoona Lagoon; Sandy Point National Wildlife Refuge; Ruth Cay Wildlife Refuge; Cane Bay; Annaly Bay; Maroon Hole and Frederiksted! They specialize in small groups, and focus on history, ecology and cultural landscape. Each tour is designed to be a fun learning adventure! 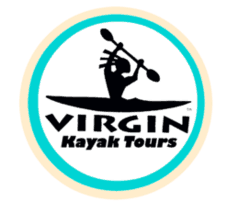 For more information call 340-514-0062, or visit them at Virgin Kayak Tours. Join them for all of your Watersports needs! Their fleet features 6 boats allowing them to create the perfect day on the water no matter what you are looking for. 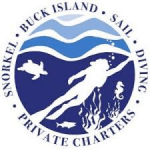 They offer daily Buck Island Snorkeling & SCUBA Diving, Private Charters, Sunset Sails, Buck Island Reef National Monument is a must for every visitor whether you snorkel the underwater trail or just enjoy the beach! For more information call 340-773-2628, or visit them on the web at Caribbean Sea Adventures. They are you’re all in one beach day and water sports company with the best jet ski rentals on island. They are located at the famous Rainbow Beach, on the west end of St. Croix. They have lounge chairs and umbrella’s for you to rent, snorkel gear, kayaks, Stand Up Paddle boards, floats, and what beach would be complete with out a volleyball net. For more information call 340-277-8295 , or visit them on the web at West End Water Sports. This terrific little bistro, which has a loyal local following, offers a changing menu that draws on Cajun and Caribbean flavors. Try the spicy gumbo with andouille sausage or crab cakes with a spicy aioli for your appetizer. The pasta verde with vegetables makes a good entrée, and they serve delicious and decadent desserts. There’s live jazz on Wednesday and Friday. For more information call 340-772–2222, or visit them on the web at Blue Moon. The view is as stellar as the food at this highly popular local standby. Sitting right on the Christiansted boardwalk, Rum Runners serves a little bit of everything, including a to-die-for salad of crispy romaine lettuce and tender grilled lobster drizzled with lemongrass vinaigrette. Heartier fare includes baby-back ribs cooked with the restaurant’s special spice blend and Guinness stout. For more information call 340-773-6585, or visit them on the web at Rum Runners. A favorite with locals and vacationers, this poolside restaurant serves up terrific burgers, steak, and seafood, as well as delicious pasta dishes and popular salads. To get here from Christiansted, take Route 82 and turn left at the sign for Green Cay Marina. For more information call 340-718-7071, or visit them on the web at The Deep End. Your hamburgers and sweet-potato fries come with a side of fabulous views of Coral Bay and the British Virgin Islands. Breakfast is the star here, especially the Amaretto pancakes. This restaurant also serves salads made with local greens and fish sandwiches. Dinner features Caribbean lobster. For more information call 340-776-6611, or visit them on the web at Chateau Bordeaux. A perennial favorite with local and visiting families, this open-air restaurant in the middle of a field serves up terrific New York strip steak, burgers with toppings that run from mushrooms to fried onions, and, of course, cheeseburgers. There’s room for kids to run around before dinner. For more information call 340-773-1119, or visit them on the web at Cheeseburgers In Paradise. Dining at the Beach Side Café is truly an extraordinary experience. Lunches are casual, breezy, and scrumptious, and dinner is simply a magical moment wrapped up into a perfect evening. The Iguana Lounge features daily Happy Hour specials and small plates to accompany your favorite cocktail. For more information call 340-, or visit them on the web at Beach Side Café. The New Deep End is a casual yet classy beach bar with a beautiful view of the Caribbean Sea, white sand beaches and an abundance of friendly faces. Both locals and visitors alike enjoy the wonderful ambiance and yummy food. The menu and entertainment caters to locals and tourists as well as the young and the old! Crab races on Friday nights has the little ones as well as their grandparents cheering on their hand picked crabs to victory! For more information call 340-718-7071, or visit them on the web at The New Deep End Bar & Grill. Rhythms at Rainbow Beach is run by cool people who make the best drinks! 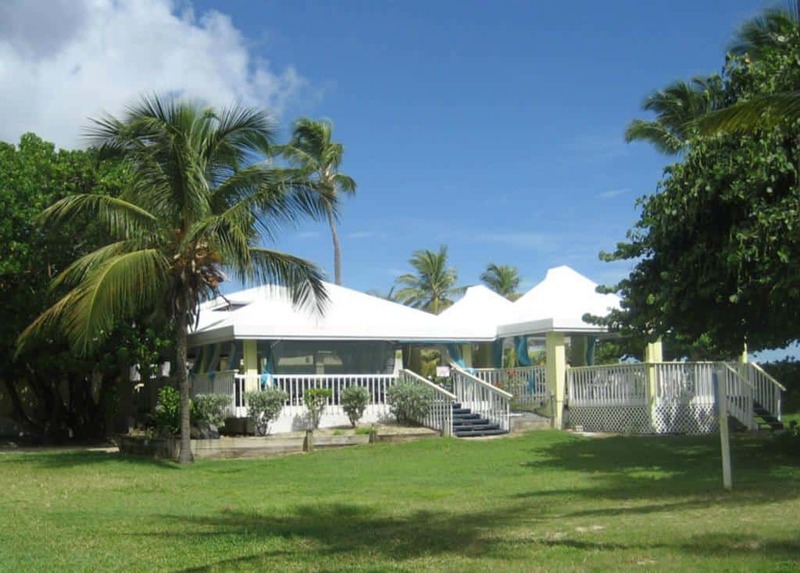 Consistently recognized among the top bars & restaurants in St. Croix, Rhythms at Rainbow Beach is the ideal place to imagine yourself relaxing on the beach with a frozen drink in your hand or a lively day out with your friends. For more information call 340-772-0002, or visit them on the web at Rhythms at Rainbow Beach. 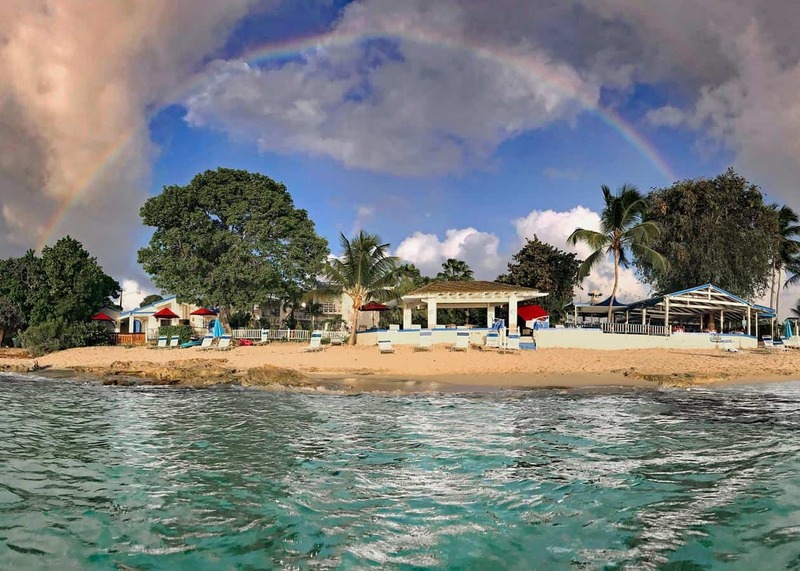 A favorite stop for both St. Croix locals and island visitors, Off the Wall Beach Bar in Cane Bay offers up delicious meals prepared to order from fresh ingredients. You’ll experience friendly service at the bar, and a chance to meet a congenial crowd at perhaps the best view on the entire North Shore. For more information call 340-718-4771, or visit them on the web at Off The Wall. Castaways is a bar and restaurant that is for locals and tourist alike. Great food and drinks at great prices, with an atmosphere that feels like a pub with an ocean view. Play horse shoes, foosball, darts, or watch your favorite team on game day. For more information call, or visit them on the web at Castaways. 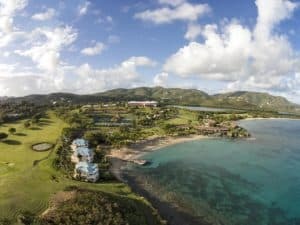 Founded in the 17th century and family-run for generations, St. Croix’s Buccaneer is the Caribbean’s longest running resort. Both historic and modern, the resort blends old world charm with warm hospitality and the amenities expected by today’s traveler. 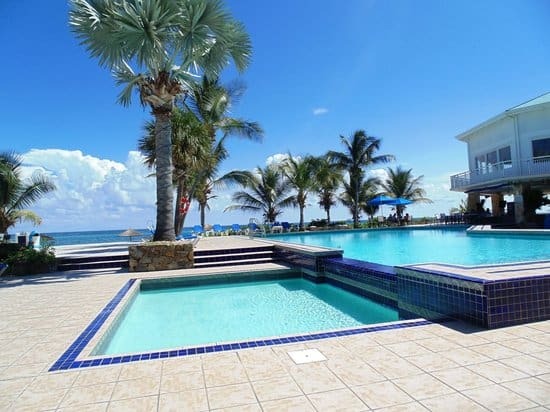 Featured on ABC’s The Bachelor, The Buccaneer is a premier destination resort for golf, tennis, water sports, weddings, honeymoons and family vacations. For more information, pricing, or to reserve your room visit The Buccaneer. Offering a beautiful setting on Frederiksted Beach, Sand Castle on the Beach features well-equipped studios, a gym and 2 outdoor swimming pools. The terrace overlooks the Caribbean Sea. Each air-conditioned studio at Sand Castle on the Beach has bright, Caribbean-style décor. There is a microwave, coffee maker, free Wi-Fi and cable TV. The Beach Side Café serves brunch, international cuisine for dinner and tapas dishes during the afternoon. There is also a bar and live music on a Saturday evening. For more information, pricing, or to reserve your room visit Sandcastle on the Beach. 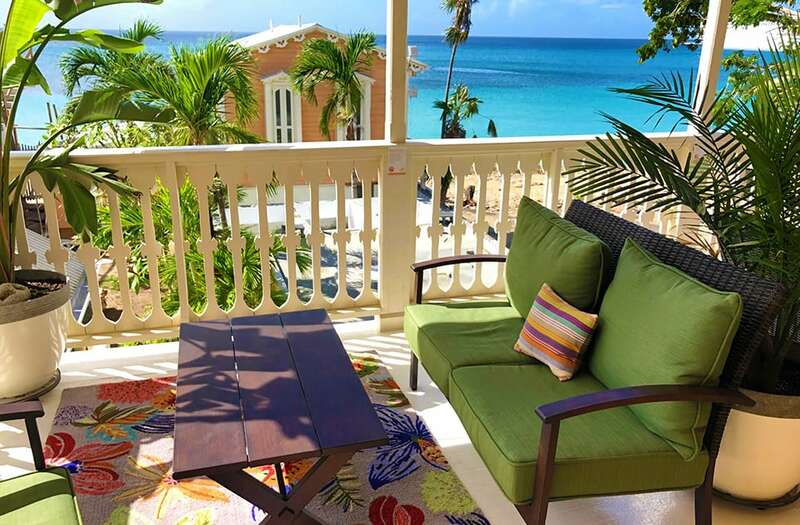 The Fred – Adults only Hotel provides beachfront accommodations in Frederiksted. Featuring a shared lounge, this property also provides guests with a grill. The tour desk can help arrange some activities and free WiFi is available. At the resort, each room includes a desk. Every room comes with a private bathroom with a shower and free toiletries. Guest rooms will provide guests with a microwave. The Fred – Adults only Hotel has a terrace. The area is popular for snorkeling and hiking, and car rental is available at the accommodation. For more information, pricing, or to reserve your room visit The Fred. This property is 3 minutes walk from the beach. This all-inclusive resort in Christiansted, Saint Croix, features 3 restaurants, a water sports facility and a casino. Bright guest rooms provide a private patio or balcony. A full American buffet breakfast is offered at the Starlite Grill and Bar. The casual poolside Dockside features themed dinners with live entertainment. A pizza restaurant and bistro café are also on site. Sailboat and kayak rentals are available at the resort. Non-motorized water sport equipment is also offered. Guests can play a game of 18-hole miniature golf as well. There activities are included in the all-inclusive package. For more information, pricing, or to reserve your room, visit the Divi Carina Bay Beach Resort & Casino. Escape to our top oceanfront resort in St. Croix for your next Caribbean getaway. Whether you prefer to spend your time lounging by the pool or exploring the reef just offshore, the award-winning amenities at Tamarind Reef Resort Spa & Marina are guaranteed to help you unwind. Tamarind Reef Resort is known for its tranquil setting, mix of sun and shade and child-friendly wading area. There’s also an excellent snorkeling reef a few feet offshore. Kayaks, stand-up paddle boards and snorkeling gear are provided to guests, free of charge. Beach goers are also welcome to use their palm-thatched cabanas, lounge chairs and volleyball net. For more information, pricing, or to reserve your room visit Tamarind Reef Resort Spa & Marina. This is so inspiring especially as I’m staring out of the window at the rain at the moment. Glad St Croix was spared the full force of the recent hurricanes and hoping to visit in the future sometime. The places you mention look so awesome and your descriptions have whet my appetite for travelling. I’ve started a ‘wonderful holidays’ pot. Great, keep coming back 🙂 I will push you over the edge to where you just have to go! Thanks for visiting my St Croix Travel Guide at beachtraveldestinations.com! Only varies by 7-8 degrees all year round and is the finest weather in the world. I’m sold! I’d imagine coming from Australia I’d have to get a connecting flight from the US, would that be correct? St.Croix certainly looks idilic. I’ll have to wait until my kids are a bit older, they can stay at home and I’ll take the MRS. 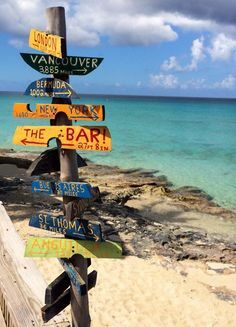 Yes, the ideal location would be to fly into Miami and then over to the U.S. Virgin Islands 🙂 Thanks for reading all about the wonderful beach destination, St. Croix! Thanks! You will love it! How awesome would it be to be in St. Croix sitting on a beautiful beach with a nice frozen concoction in hand! My perfect way to spend the day! You know I’m gonna put St. Croix on my bucket list. It sounds delightful and I especially like that it seems to be less crowded and less expensive than some of the other islands. I’m definitely gonna put it on my list of places to go. Xmas sounds like a great time to go It’s often hard to figure out a good place to go at Xmas. Thanks for all the info. You bet 🙂 You will love St. Croix and it is a little cheaper and less crowded, but just a beautiful! Thanks for a great overview of St Croix! It makes me want to visit! I love to snorkel, which I did for the first time while visiting Hawaii. I’m wondering if there are many places to rent snorkel equipment on the island and if there are many places to go snorkeling besides the pier? Also, are there bicycle or moped rentals? Thanks! Yes, of course you can rent snorkel gear on most of the beaches. You can also rent bikes, mopeds, and scooters as well 🙂 Thanks for reading my St. Croix travel guide! You and your wife will enjoy Marquis. It is a wonderful place. Please let me know if you need any help with your planning or any additional information! Thanks for sharing this nice travel guide about St. Croix. Seeing those pictures I would love to visit St. Croix right now :). It is a pitty that the island was affected by the hurricane, thanks for informing about this! Do you know if there are any safety problems, e.g. incidents with stolen bags, walking home at night alone, etc.? I’m so happy that it sounds like the majority of St. Croix made it through the line-up of hurricanes we’ve had in the past month and a half. I’ve not yet been there, and hadn’t been to St. Maarten either, although it’s fate was much worse from what I’ve gathered. I didn’t realize till reading this article that there’s no sales tax on the island. Or that Christmas and New Years is such a big celebration! I was thinking about spending Christmas up in a cabin in Banff this year… but a tropical paradise is also enticing 🙂 Thanks so much for sharing! You are so welcome Courtney and thank you for reading and visiting BeachTravelDestinations.com. Please let me know if I can answer any questions for you. 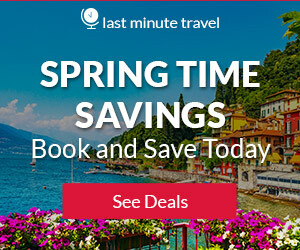 I love researching different travel destinations, especially near the Caribbean, and this is one of the most comprehensive travel guides I’ve seen! It has eliminated the need for me to go between sites and gives great, in-depth recommendations on the topics that it touches on. Do you have any suggestions of where to stay while traveling there? Stay at the Arawak Bay The Inn at Salt River or The Buccaneer Hotel. Both are great. I am glad you enjoyed reading my St. Croix Travel Guide. Let me know if you have any additional questions. So sorry to hear about the damage caused by hurricane Maria. It must be really tough for everyone affected. St Croix sounds like a very special place, a real paradise. 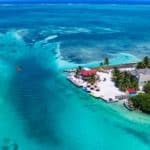 Snorkelling around Frederiksted Pier sounds amazing and Buck Island National Park sounds like a great place to scuba dive. The kayak tours look fantastic too – Bioluminescent Bay sounds like a trip not to be missed. What an amazing part of the world. I would agree that it is an amazing destination for sure. 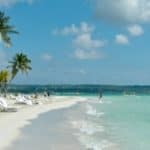 Being in the Caribbean with the beautiful beaches, on top of being a little less crowded and a little less expensive, makes it a great getaway beach destination.